It is always a blessing to see how God can take our simple ideas and turn them into grand opportunity and affirmation. My recent continuing education program is the latest example of how this happens. Over the past year I have been searching for the right way to provide for my continuing professional and spiritual development. I spent more time on this phase of my development than I have perhaps any other vocational decision before. After numerous conversations with colleagues and prayerful discernment, I decided to peruse training and certification in coaching. The idea of coaching is not a completely foreign one to the congregation of Christ Presbyterian Church. Bob Harris, our former interim, is a certified coach and I have used his services during the course of our work together. Yet, I think that there are still some questions as to what the nature of coaching truly is. I’m also sure that there are many questions as to how it will complement my pastoral ministry at Christ Presbyterian Church and within National Capital Presbytery. Over the next few weeks, I will explore the art of coaching and how I envision it as unique gift that God has given to me, and how I can already see the possibilities unfolding. Coaching is a specific kind of conversation where a coach partners with a coachee to determine specific steps to maximize their potential through action. God is the creator of all things through whom we all have our life and breath. Dependence on God to help you become your best self is critical. As the Apostle Paul reminds us, it is only through God that all things are possible. One of the aspects of Coaching conversations that I particularly appreciate is that the client or coachee, is seen as being creative, resourceful and whole. Too often we look for experts to solve problems, or to answer the hard questions we feel we can’t answer ourselves. The fact of the matter is that this underpins how I view my role as a pastor as well. Be it in sermons, Bible study or pastoral care, I believe my position is to be a coworker for discovery. One place where being a pastor is different than being a coach, is the fact that at times I am the “expert” in the room who is being called to teach certain knowledge. Yet in my practice of ministry, my default mode of being is more coach than teacher. The above reality is one of the deep affirmations I received over the course of my training. The idea of helping others discover the strength and solutions for themselves is how I seek to live in every aspect of my life. Of course I am always cognizant of the fact that the work we do has the Holy Spirit as a divine partner in the midst of our discovery. The first distinction I would like to make is the difference between pastoral care and coaching. As a Pastor I am often called upon to share pastoral care. This, more times than not, takes on the form of a caring ear that doesn’t interrupt but simply receives and offers support, Scripture and prayer. In pastoral care, I become the listening ear of the congregation and in some way God. 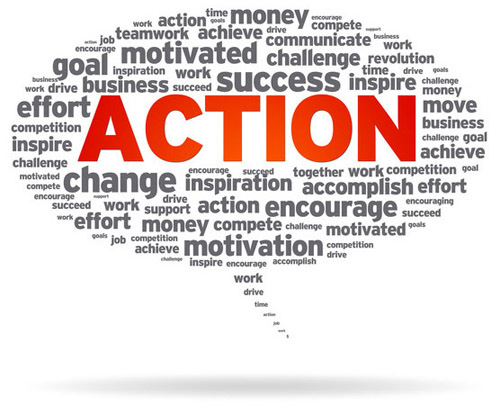 As a coach, the time is first and foremost centered on helping the coachee take action. The question of “What does the person want to achieve, change, let go of, etc?” is important. Coaching conversations are specifically crafted to encourage timely discernment of not only the true issue, but the action the coachee wants to take to change the issue. Like pastoral care, these conversations aren’t about the Pastor or Coach, but rather the person who is seeking counsel or coaching. They are also both places of sacred trust where confidentially is of critical importance. In the coming weeks I will continue to explore how coaching can transform our congregation by helping our individual members become more connected with their gifts and the means by which they need to employ them in the church and world.